Wrekin View provides diagnostic, surgical, medical, dental, X-ray, ultrasound, laboratory and preventative medicine services for dogs, cats, rabbits and other domestic pets. As standard, we use the most up to date anaesthesia techniques and drugs. Any additional procedures required for anaesthesia of very young, elderly or unwell animals will be discussed with you at the time of consultation. We are happy to do home visits by arrangement, but will not always be available to come immediately. If your pet needs urgent attention, it is always best if you can bring him/her to the surgery where we have all the diagnostic, treatment and hospitalisation facilities available. We have access to a full range of specialist services if required. We will endeavour to give you appropriate advice if we feel that referral for your pet is required. 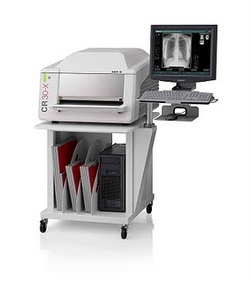 We are now the proud owners of a new Agfa CR30-X digital Xray processor. This is a state-of-the-art computerised Xray processor producing exteremely high quality Xray images in seconds. 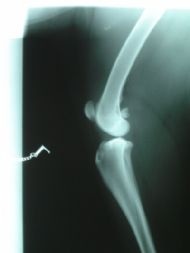 This will help us in getting superior diagnostic Xrays of our patients.